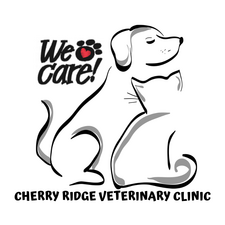 At the Cherry Ridge Veterinary Clinic, we take pride in being your furry family member's doctor and see our role as an integral part in providing healthcare to your pet. The primary focus of our practice is centered on offering a professional level of high quality Medical, Surgical and Dental care. In addition to these professional services, we do stock numerous forms of pharmaceuticals, vaccines and products for your pets. We carry these items in our practice primarily for two reasons; (1) Many items are animal specific formulations or for animal only usage- often these products aren't carried locally by traditional brick and mortar pharmacies and (2) there is a convenience in having items readily available onsite rather than sending our clients to another location just to sit and wait for prescriptions to be filled elsewhere. 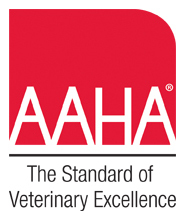 The Cherry Ridge Veterinary Clinic takes measures to ensure the vaccines, medications and products we provide to our patients are properly handled and stored from initial manufacture until they reach our facility. The items we offer from our hospital supply are obtained either directly from their manufacturing source or via our relationships with selected major distributors which track these items to verify their integrity. ( Heartgard, Frontline, Revolution, Rimadyl) for similar prices - in fact, we might be even lower when company "bonus doses" or manufacturer rebates are taken into account. We will provide a written prescription on request provided we have recently examined your pet and the particular medication or product is appropriate. The time frame of 'recent examination' is at the doctor's discretion but will never exceed a maximum of one year from your pets' last annual examination. The written prescription will be provided directly to you. You may request to pick it up or ask it to be mailed to your home. If you choose internet or catalogue sources, we advise you to copy your script and mail them the original. We recommend this process for the same reason we will only provide written prescriptions to you on our script pads and why we do not respond to fax requests or telephone calls from internet or catalogue companies - We require our physical prescription form to be used so it can be traced back and authenticated in the event medication error, failure or reaction occurs. Some internet based pharmacies and catalogue companies have been repeatedly reprimanded by the FDA and State Boards of Pharmacy for violating prescribing procedure. Several well known companies have been cited and fined repeatedly for the same violations in the same states or several states!